Located one mile from the Gulf, Wild Heron is a gated community that feels like a weekend escape. The golf community spans over 600 acres of living and is home to Greg Norman's Shark's Tooth Golf Club. Its focal point is Lake Powell which is a favorite among boaters. Carillon Beach is another gated community with a golf course that is long-established. It has a mix of both full-time and second homeowners. Carillon Beach was built in 1991 and one of the only communities that feature shaded porches. Realtor's in Panama City Beach claim the inventory is extremely meager, making it an ideal time if you are ready to sell a home. Many subdivisions throughout PCB have easy access to all of the nightlife and entertainment that the tourists flock to. The Northwest Florida Beaches International Airport is only a few miles away. Frank Brown Park is a primary attraction for those who enjoy biking or walking through trails. There is an Aquatic Center with water activities making it fun for the whole family. Frank Brown Park also has several baseball fields, and basketball and tennis courts. The Conservation Park is an excellent spot to enjoy nature and encompasses over 2900 acres. Animal lovers can take a dolphin sightseeing cruise and get educated on the variety of creatures at the Gulf World Marine Park. Families with kids can build sandcastles on the white sands of the beach, or marvel at the oddities at Ripley's Believe It or Not! There is also plenty of water features and fun at Shipwreck Island Waterpark. Pier Park is full of upscale family-oriented dining, shopping, and entertainment. It's also a venue for special events including Unwind at Pier Park, part of the New Year's Eve Beach Ball Drop and the annual Taste of the Beach wine festival. It includes well-known retail chains including Five Guys, Olive Garden, Subway, Old Navy, Dillard's, and many others. Residents and visitors love Pier Park because it's in a clean and safe area. Fishing enthusiasts flock to Russell-Fields Pier for its sunset views and abundant fishing. Resident's shop for some of the best donuts at Thomas Donut & Snack, and dine on award-winning ribs at Pineapple Willy's. With the strength of the market in PCB, it's a great time to purchase an investment property or vacation home. Real estate investments over the long term have proven to generate more wealth than the stock market. 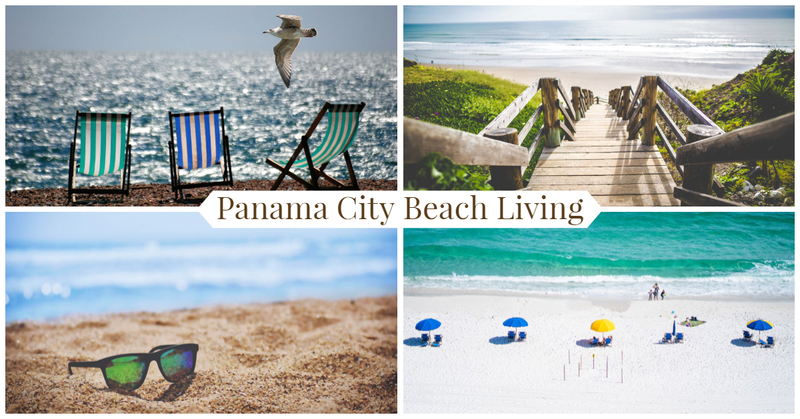 A vacation home in Panama City can be used as a family vacation spot and a significant long-term investment.